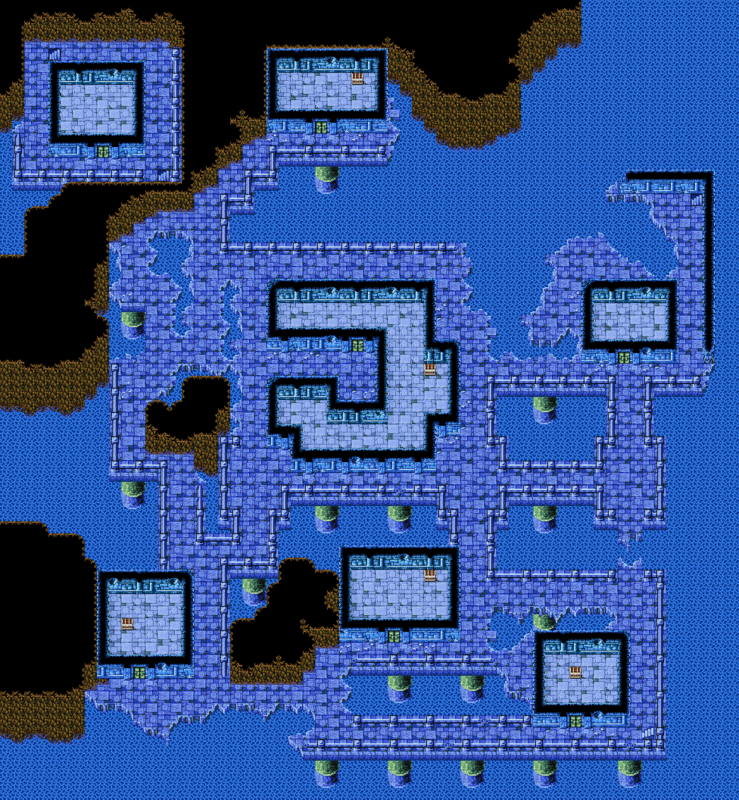 Sunken Shrine 4F is visited twice in a typical traversal of the Sunken Shrine; Once on the way to Sunken Shrine 5F to obtain the Rosetta Stone, and once on the way to Sunken Shrine 1F to battle Kraken. All of the treasure is found when heading to the 5th floor. An axe that casts Diara when used. A staff that casts Fira when used.